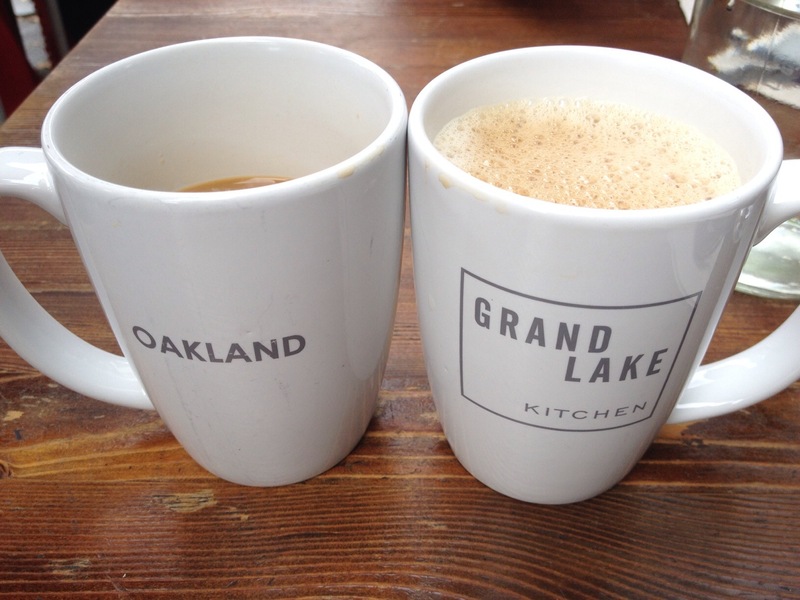 This morning my friend and I went to breakfast at the Grand Lake Kitchen (GLK) on Grand Avenue in Oakland. My BFF posted a mouthwatering photo of the French toast she had at GLK a couple of weeks ago which prompted us to go. 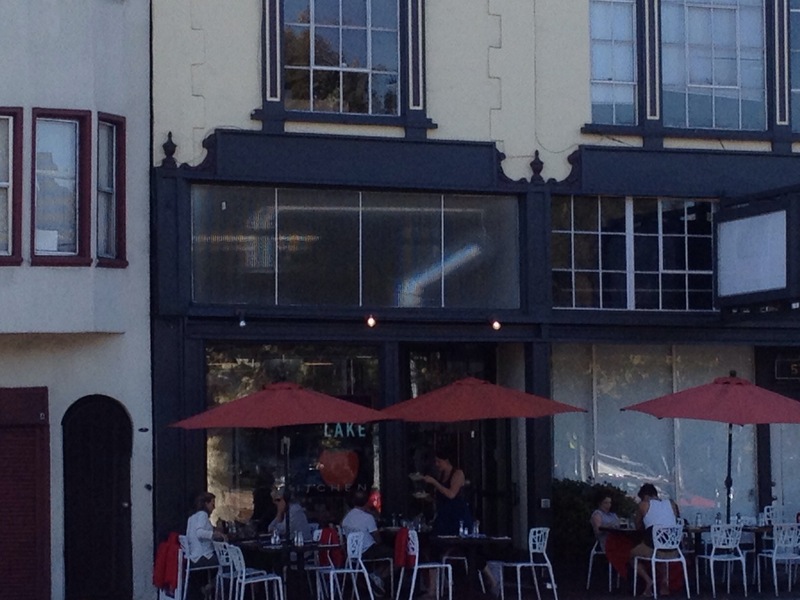 GLK is a small neighborhood restaurant with counter bar seating and a couple of tables inside and several tables outside. We arrived shortly after 9:00am and already had to wait. The waiting wasn’t bad because they will offer you a mug to get your self service coffee while you wait. We were second on the waitlist so it took about fifteen minutes for us to be seated outside. 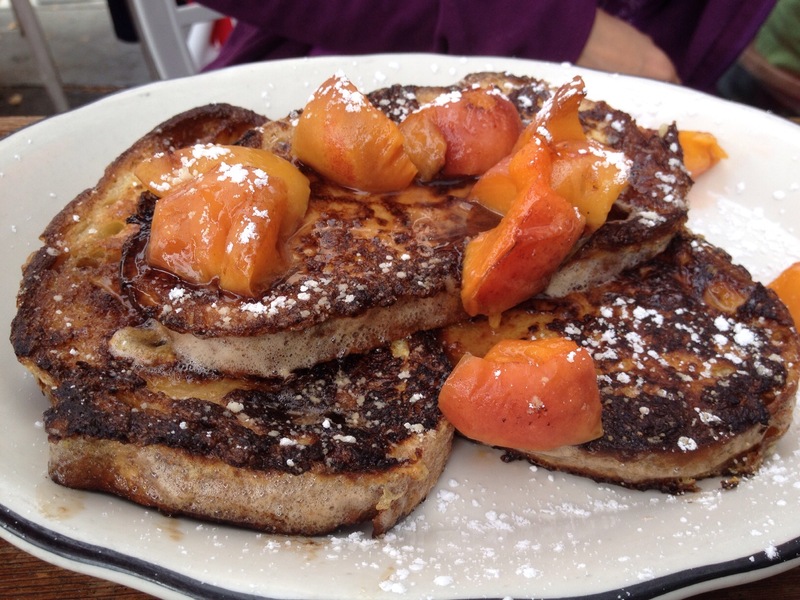 My friend came to GLK already knowing she would order the French toast with seasonal fruit. Today the fruit was peaches. After reviewing the menu, I thought I would get the savory French toast and we could do a taste test. The sweet French toast was served with Vermont maple syrup. The texture of the toast was crispy on the outside and custard-like on the inside. The fresh peaches were roasted to a soft, sweet consistency that was delightful. This French toast was amazing. This was going to be hard to beat. I have never heard of a savory French toast but I was intrigued by the creativity of the elements going into this dish. 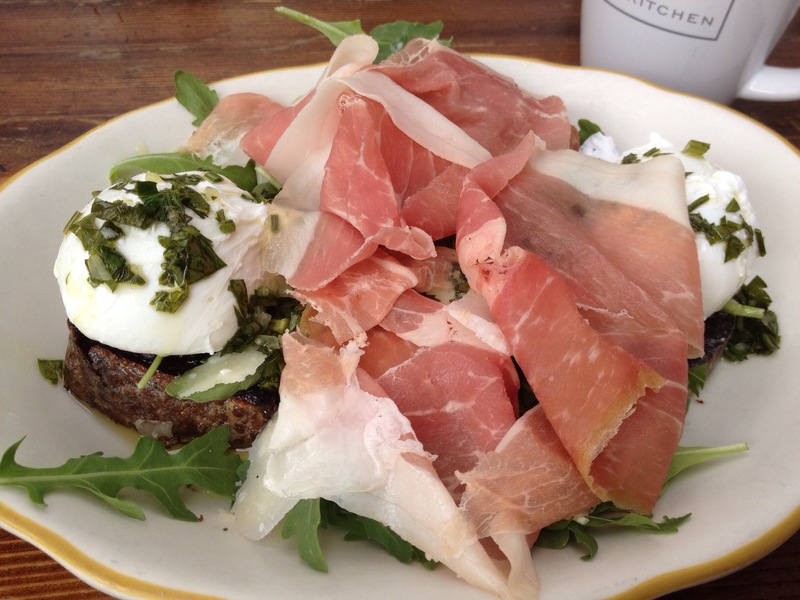 My French toast came with rye bread, poached eggs, wild mushrooms, parmesan, arugula, and herb oil. I had the added Prosciutto Di Parma. The eggs were perfectly poached with runny yolks spilling out as you cut into them. I loved the sautéed mushrooms. The arugula, herb oil, and grated Parmesan added freshness and flavor. I enjoyed the additional level of sophistication from the prosciutto. My friend was quite clear that her sweet French toast won the battle. I, who would take a bag of potato chips over a cookie, was on the fence. I liked them equally the same. I would like to enjoy both. There was a couple next to us that were each having their own plate of savory French toast. About halfway through their meal, one order of sweet French toast came for them to share. That is what I’m talking about. I asked one of the employees whether it was the sweet or savory French toast that has the most sales. She indicated it was the savory, but it was definitely close. It’s worth visiting GLK to make your own decision. In the meantime, I’ll be deciding when’s my next visit to GLK and what I’ll try next. They are open everyday except Tuesday from 9am-9:30pm. Looks delicious! I’ve been wanting to eat here for so long, but the long wait times have always dissuaded me. I hate lines too! My suggestion is to get there when it opens!